With so many new home builders in Calgary, it can be overwhelming to think about choosing the right one. How will you know you made the right choice? And what things should you be looking for when comparing builders? There has to be a better way to find your best option. The process of selecting your preferred builder to create your dream home should be exciting and give you the confidence in knowing you made an informed decision. 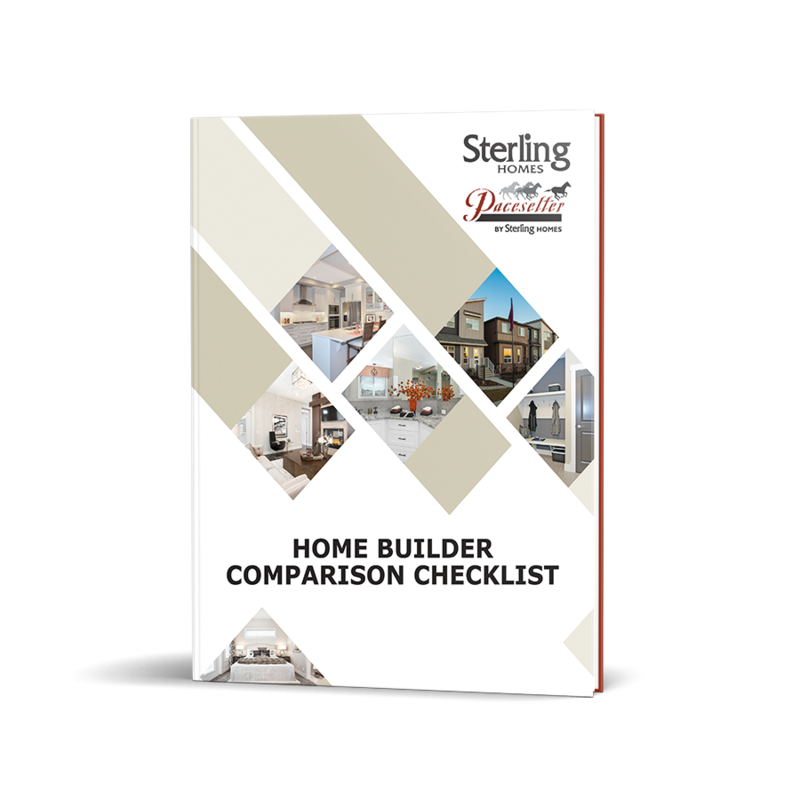 With this convenient, print-friendly Home Builder Comparison Checklist in your hands, you will know exactly what type of questions you should be asking yourself when you research builders. And when you're finished, choosing the right builder for your needs will be easy. At Sterling Homes, we take a lot of pride in building high-quality homes for people just like you. Ready to start your search for the one builder that stands out amongst the rest? Fill out the form on this page to receive our free Home Builder Comparison Checklist now!